Join us on Thursday, February 14 when Mark Antunes from EP Henry will lead a seminar and workshop on installing Cast Stone Wall for retaining walls and garden walls. 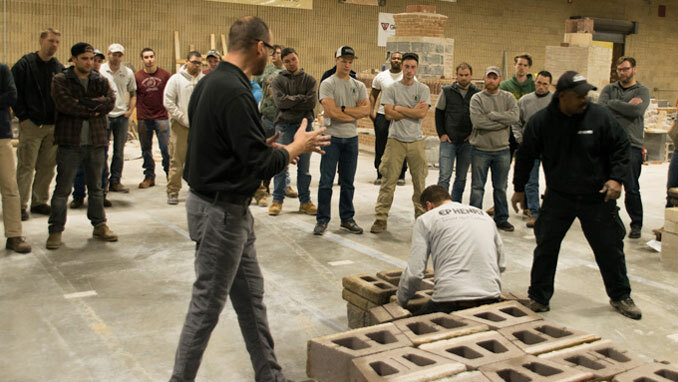 Cast Stone Wall has become a best-seller for EP Henry, and this event will provide both classroom-style instruction and hand-on demonstrations to create the opportunity for you to become more familiar with this exciting new product. This seminar is free to attend. Complimentary refreshments will be provided. PLEASE NOTE: This seminar will take place at the Stevens College Masonry Technology Campus.